Sprawling across a small triangle between the Takutu River, the airstrip, and the Rupununi Road, Lethem has no obvious centre and few major landmarks. 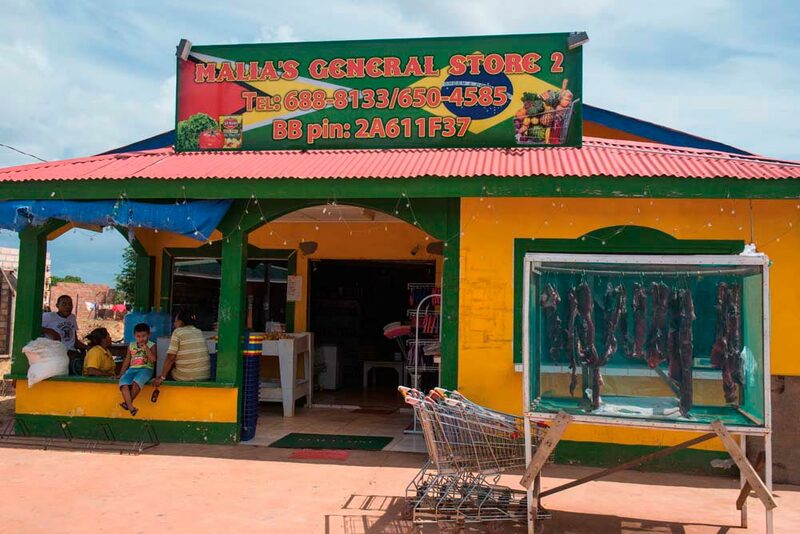 Red laterite earth and the vast Rupununi sky may be the distinctive feature of this small town of simple dwellings and cashew trees, increasingly interspersed with guesthouses and modest hotels, eateries, and general goods stores stocked with Brazilian products. Portuguese is almost as common as English, and watering-holes are as likely to serve Brazilian Nova Schin beer as Guyanese Banks. 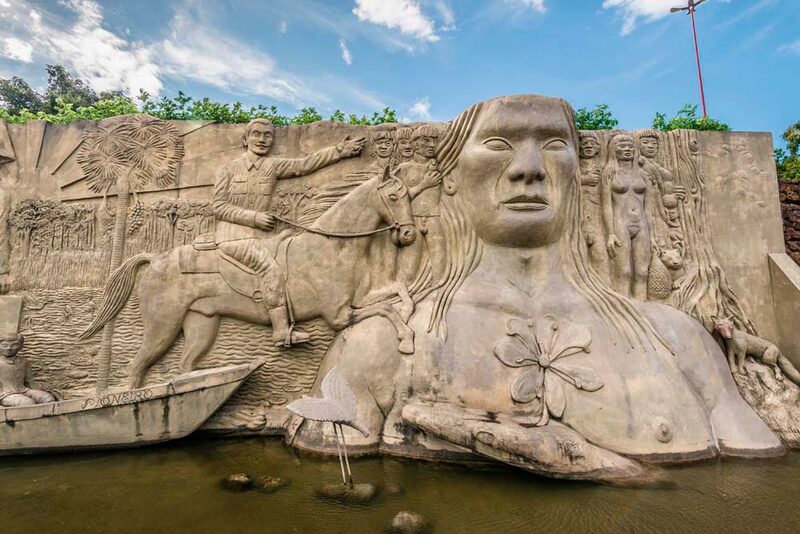 On Lethem’s north-eastern outskirts are the rodeo grounds, home of the famous Easter Rodeo that draws numerous vacqueiros — cowboys — from near and far, to show off their skills with bucking broncos and lariats. Pre-dated by several Amerindian villages in the vicinity and by the nearby Jesuit mission of St Ignatius, the settlement of Lethem — named for a former governor of British Guiana — began in the early twentieth century as a border post on the eastern bank of the Takutu River, which serves as Guyana’s boundary with Brazil. By the time of Guyanese independence in 1966, Lethem boasted a district commissioner’s headquarters, police station, and dirt airstrip. In January 1969, Lethem was the epicentre of the Rupununi Uprising, a short-lived but violent rebellion by a small group of Rupununi ranchers against the government in Georgetown. Five policemen were killed before soldiers flown in from the coast restored order. 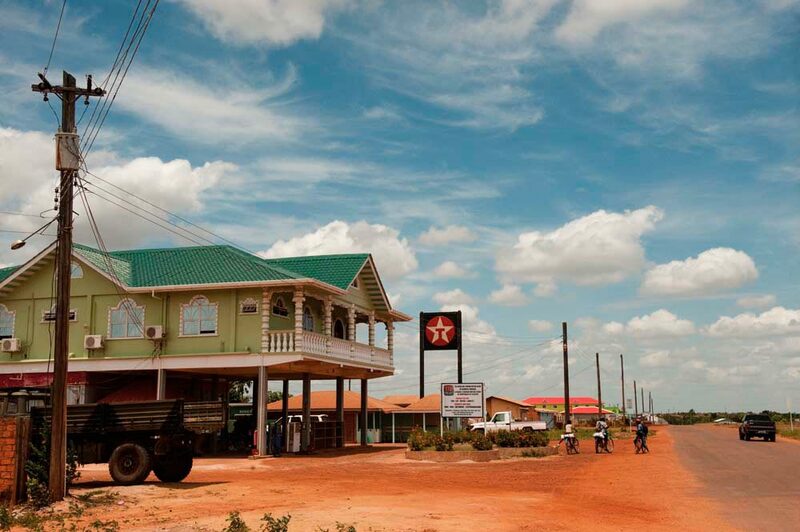 For most of the following two decades, Lethem remained a sleepy village, until in the late 1980s a dirt road was carved through the forests and savannahs of central Guyana, connecting Lethem to Georgetown by land. 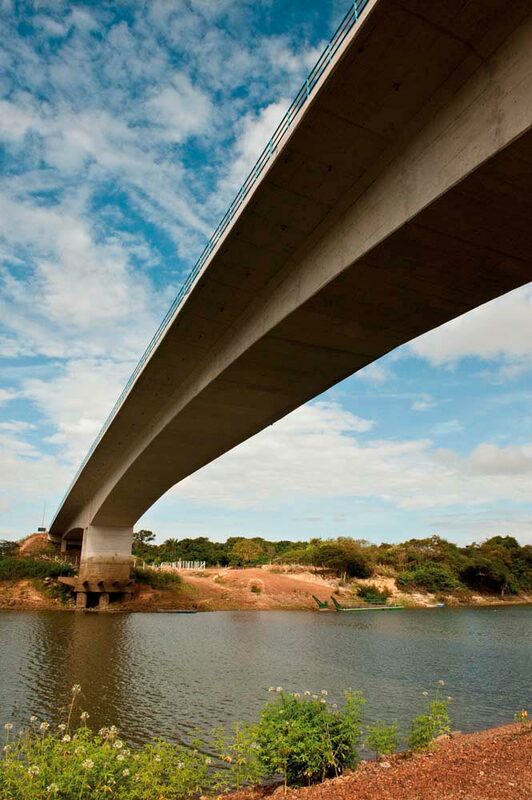 The road increased the number of travellers between Guyana and Brazil — mostly prospectors, tradesmen, and a few tourists — until in 2009 a bridge across the Takutu became the first land link between the neighbouring countries. The bridge plus a gradual increase in eco-tourism has brought a small population boom to Lethem in the past decade. In Lethem, you have only to walk for a few minutes in any direction to find yourself in the open savannah, an astonishing country of red laterite earth broken by palm-lined creeks, sandpaper trees, anthills, and the blue Kanuku Mountains looming. 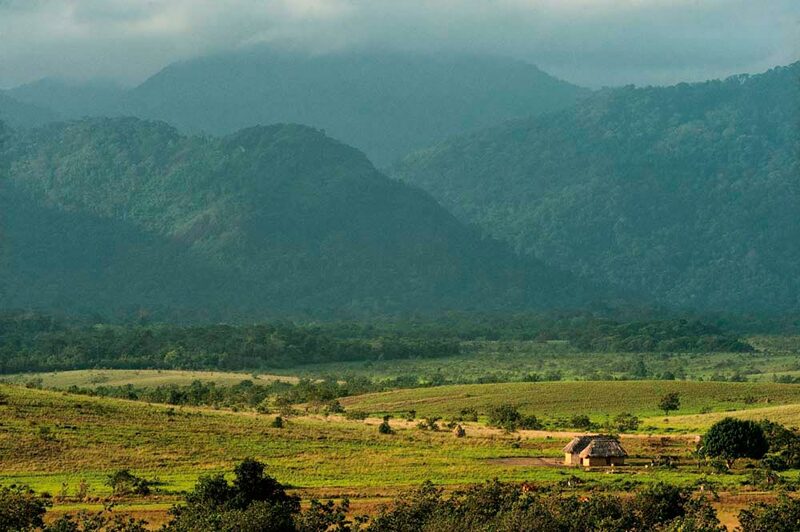 Even a day-trip by 4×4 vehicle is enough to give you a sense of the Rupununi, a region that whispers adventure. 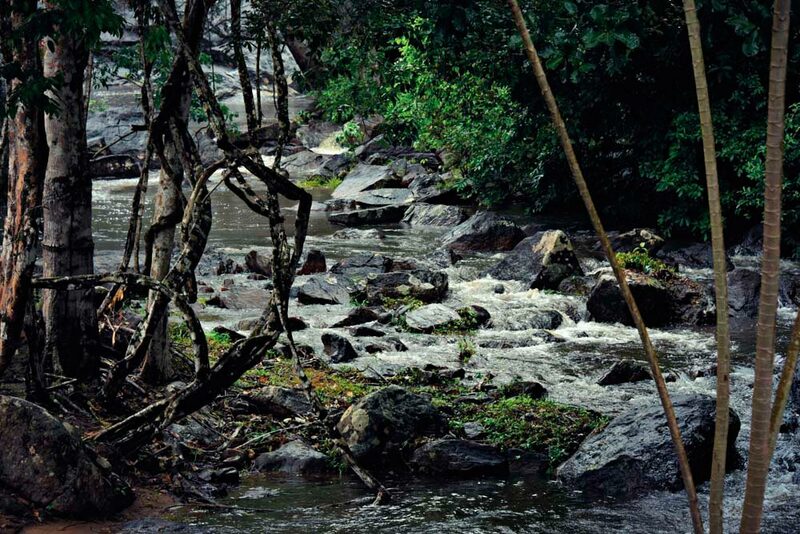 Start with an early morning visit to Moco-Moco Falls (above), and a plunge into a bracingly cold river pool, and follow that with an excursion to the Amerindian village of Nappi in the Kanuku foothills, home of the community-run Maipaima Eco-Lodge. Further afield are the cattle ranches at Karanambu and Dadanawa, both of which host eco-tourists, and the positively sybaritic Rock View Lodge at Annai. They all offer ample opportunity to encounter wildlife, explore the Rupununi’s rivers and forests, and generally immerse yourself in a landscape of vast horizons. For many years the Savannah Inn, run by the redoubtable Mrs Khan, was the favoured choice of tourists passing through Lethem, for its air-conditioned bungalow rooms and location beside the airstrip. Its newest competition is the recently opened Rupununi Eco Hotel, which can organise various tours and expeditions for visitors. In the days before the Takutu Bridge, travellers to Brazil needed to cross the river by boat to the town of Bonfím, Lethem’s immediate neighbor to the west. Beyond Bonfím, a whole continent awaits you. A rather good highway through the magnificent savannah leads you to the natural first stop: Boa Vista, a planned city laid out with broad boulevards, museums, monuments (below), and a modernist cathedral. And after Boa Vista — Manaus, the great city in the middle of the Amazon?